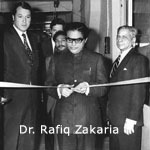 Jainex Aamcol was incorporated in 1947 under The Indian Companies Act, 1913 as Anglo American Marine Co. Ltd. and its name was subsequently changed to Jainex Aamcol Ltd. It had its factory at Mumbai, manufacturing hacksaw blades, press tools and dies. 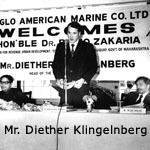 In 1975, the company diversified into the manufacture of gear hobs in technical collaboration with Klingelnberg of Germany by setting up its plant at Aurangabad, Maharashtra. The Hob plant was inaugurated by Mr. Diether Klingelnberg, head of the house of Klingelnberg in the presence of Dr. Rafiq Zakaria, Hon. Minister of Maharashtra. The company is a public limited company and its shares are listed on the Bombay Stock Exchange. In 1986, the manufacturing activities were concentrated at Aurangabad. The present product range comprises of gear hobs, special cutting tools and inspection tools & precision accessories such as, spline & serration gauges, master gears etc. and are sold to the automotive material handling, machine tool, as well as gear box industries in India. The products are also exported to Germany and Australia. In 2006, Jainex Aamcol was certified a ISO 9001:2000 company for design, manufacture and supply of gear cutting tools and special cutting tools by BVQI.